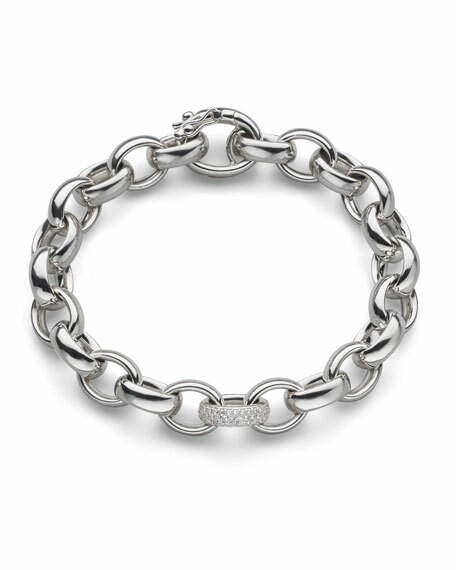 Rosaling sterling silver link bracelet by Monica Rich Kosann. Single link with pave white sapphires. Hook clasp with security latch. For in-store inquiries, use sku #2683301.